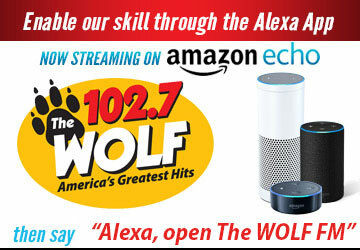 On Air - The Wolf 102.7 | America's Greatest Hits! Sue Hall is a local girl. She graduated from San Francisco State University as a broadcasting major. Her first radio job was at KSKI in Hailey, Idaho while Sue was perfecting her status as a certified ski bum! She decided radio was a cool profession. Sue headed back to San Francisco to return to college and was hired at KFRC as their very first Mobile Studio Coordinator. Eventually Sue got on the air there as the host of the midday show. She also worked at KMEL, K101, then returning to KFRC for the next 18 years. Besides being a radio personality, Sue had a reoccurring role as a television reporter on the Nash Bridges series while it was filmed in San Francisco. Currently a part-time reporter for ABC 7, Sue is a San Francisco broadcasting veteran boasting 33 years in San Francisco radio, television and now in Sonoma County on The Wolf. When she's not working (when is that?) Sue loves to cycle the Dry Creek Loop and wake board on Lake Sonoma. You can reach Sue Hall at SueHall@Kwvf.Com.